Emerald green water, picturesque bays and fine sandy beaches: the island Sardinia impresses above all by its wonderful natural landscape. It is – after Sicily – the second largest island of the Mediterranean and forms – together with a couple of small islands in front of it – the autonomous region Sardinia. The amazing landscape and the Mediterranean climate offer the best conditions for dream weddings: the island in the heart of the Mediterranean Sea provides crystal-clear water, many wonderful small and large bays as well as a huge number of picturesque places. The whole island is surrounded by wonderful coasts with a total length of more than 2000 km, which are perfectly suited for romantic beach weddings in Sardinia. One of the most beautiful ones is Costa Smeralda (Emerald Coast), which extends on the Northern coast of Sardinia. Along this coast there a many beautiful towns, for example Porto Cervo. Other coasts with wonderful beaches are Costa Rei, Costa Verde, Costa Paradiso or Costa del Sud. Another highlight is the La Maddalena archipelago. The largest towns of Sardinia are Sassari, Quartu Sant’Elena, Olbia and Cagliari, the region’s capital city. Another popular place is Porto Rotondo: it is surrounded by an amazing landscape and offers a breathtaking view to the large Gulf of Cugnana. In addition, there are a huge number of picturesque villas in and around Porto Rotondo. Also places like Olbia, Santa Teresa di Gallura, San Teodoro, Poltu Quatu or Baia Sardinia are very popular destinations. All those picturesque places are the perfect frame for weddings. Especially for symbolic ceremonies, the limits concerning the selection of the venue are virtually endless! From white sandy beaches over elegant hotels, private villas or beautiful Italian gardens – the breathtaking sceneries of Sardinia ensure an absolute unique and unforgettable ambience. Civil wedding usually take place in the registry offices of the respective town. However, there are also a couple of towns that offer the possibility of getting married right on the beach or in a lighthouse! Catholic wedding ceremonies in Sardinia usually take place in churches or small catholic chapels. 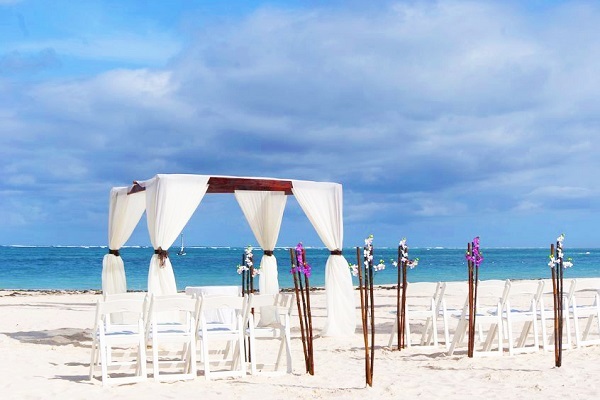 For protestant weddings, there are no restrictions regarding the perfect location: bridal couples are able to choose exactly the venue of our portfolio they like the most – from elegant white sandy beaches or rocky bays to gardens or villas.